The Definition of ALKANE: The primary chemical compound found in natural gas. 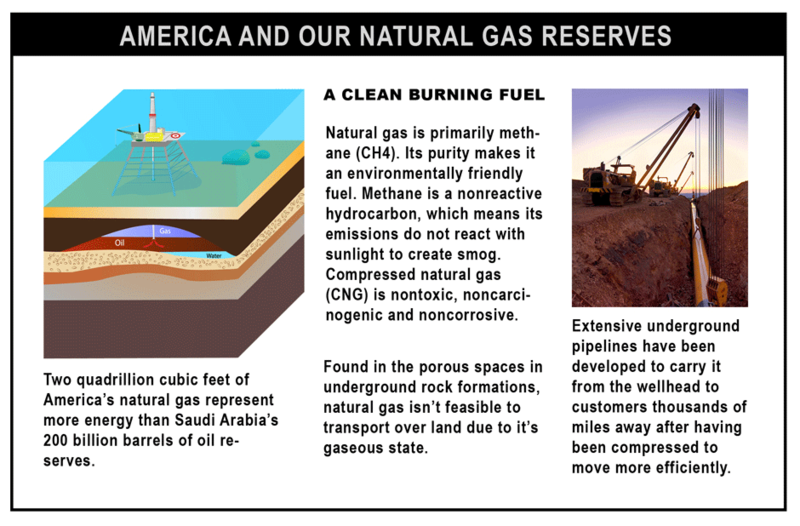 Natural gas is primarily methane (CH4). Its purity makes it an environmentally friendly fuel. Methane is a nonreactive hydrocarbon, which means its emissions do not react with sunlight to create smog. Compressed natural gas (CNG) is nontoxic, noncarcinogenic and noncorrosive. Have you ever considered what would happen if our ability to import oil came to a screeching halt? 14,000,000 barrels of oil are imported into the United States everyday and we recognize that oil is ‘peaking’ in production. Natural Gas is America’s most abundant supply of energy. As a result of the ever increasing costs of diesel and gasoline and the advances in technology, the cost savings and efficiency of CNG powered trucks is the future. Natural Gas is America’s most abundant supply of energy. Two quadrillion cubic feet of America’s natural gas represents more energy than Saudi Arabia’s 200 billion barrels of oil reserves. America’s natural gas is much cleaner and 70% cheaper than Saudi oil. The International Association of Natural Gas Vehicles estimates that there will be more than 65 million natural gas vehicles worldwide within the next 10 years, or about 9 percent of the world transportation fleets. More than 11,000 transit buses. Nearly 4,000 refuse trucks with California leading the way. More than 3,000 school buses. About 15-17,000 medium duty vehicles, such as airport shuttles and a wide variety of work applications. More than 30,000 light duty vehicles in federal, state, local government and private fleets. 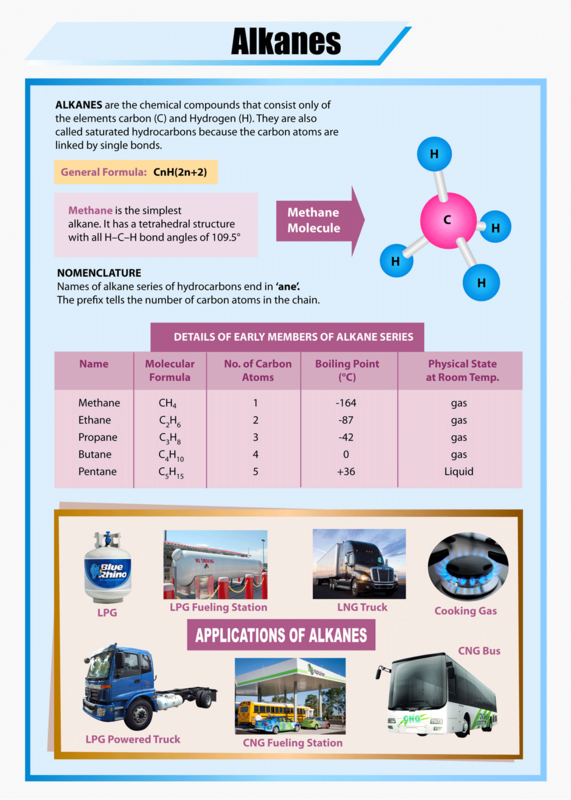 ALKANE TRUCK COMPANY provides a one stop solution to distributors for alternative fuel vehicles. We provide medium heavy trucks cab-over trucks, heavy duty cab-over trucks and off-road vehicles which run on liquid propane and compressed natural gas at competitive prices. We offer customized trucks which meet or exceed the distributor’s specific requirements such as tanker trucks, propane delivery trucks, beverage delivery trucks, waste trucks and others. Propane is a by product of natural gas and petroleum, occurring naturally during domestic oil refining and natural gas processing. It is 270 times more compact as a liquid than as a gas, making propane highly economical to store and transport. Propane is also known as liquefied petroleum gas (LPG or LP gas) and when propane is used as an on-road engine fuel, it is called propane autogas. Propane Autogas is domestically produced, and has historically cost 30 to 40 percent less than gasoline per gallon. Propane Autogas burns cleaner, has an octane level of 105, and weighs approximately 1.86 pounds less per gallon than gasoline. Advances in natural gas engines have improved performance while exceeding EPA emissions requirements ahead of schedule. Almost 14 million NGVs are in use worldwide, including 110,000 operating on U.S. roads.